Here many or almost everyone has a phone too even if it's ancient model. I have a mobile phone but i could live without it as well. I don't think it's necessary to have one if you can live without it. It changed lot of the society to worse. More hectic, stress and zombies everywhere. If it's a bad job change it otherwise if it's not so bad and you can live with the money, why not? Money is not all. Health > money in the first place. All the money doesn't do anything if you only torture yourself. Everyone has their own reason or priorities. DoomJedi wrote: Tricob, why do you keep working on a job that doesn't allow you to live comfortable financially? For most of the years I've worked there, the main reason has been lack of transportation. Now that I finally have a car, there's the process of simply learning what all is in the city, and how to get there. I don't even know where any UPS buildings are at this point in time. Seeing as I work during weekdays, I'm always faced with the problem of things looking different at night versus during the day. So I'm forced to learn where everything is exclusively during the weekend. If you go onto one overpass at the wrong time - or get off of it at the wrong time - you can get stuck driving out of the city and onto the interstate. Everything in Alabama looks exactly the same no matter what city you're in, so you have no visible cues that you're in another city until there's this large sign loudly proclaiming it. 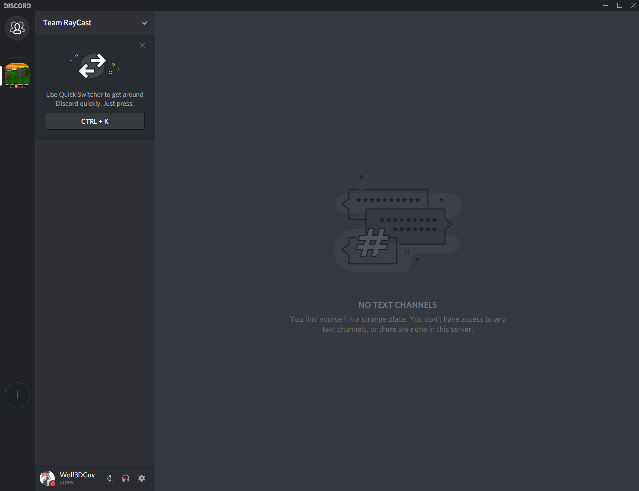 I just joined to the discord server and I can't see anything there. The whole server is empty, I can't see anyone there and I can't see any channels there. Well, it's private development server, not public one, it's for the TR developers and I control the access permissions, just as you don't see 90% of this forum, only small public area, we don't reveal our in-dev projects and related discussions to the public. Same rules apply to our discord server as of the forum - it's a development tool, communication tool among team members (only forum has small public area, and discord does not (yet?)). In case of discord, I'm not sure I even know how to define a public thread there, would consider such if there is such interest.